I’m running an ad on Facebook right now pointing people at the Rebels of Adalonia books, and if you’ve come over from Facebook to check out that page and my site in general, hi! For those who are new to my work as well as those who might just not have checked out the Rebels books yet, a general reminder: the Rebels books are not, repeat, NOT standalone novels. Carina is best known for publishing romance, and I know a lot of Carina’s readers as well as romance readers in general are used to thinking of a trilogy as “three standalone novels that happen to have an interconnecting theme, like three sisters in a family, or three women all working in the same place, etc.”. However, I cannot emphasize this strongly enough: the Rebels books are a fantasy trilogy. Thus, Valor, Vengeance, and Victory do all have their individual sub-arcs for their featured characters, yes–but in order to get the complete story, you do need to read all three books, and you need to read them in order (i.e., Valor of the Healer, then Vengeance of the Hunter. 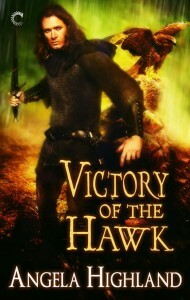 then Victory of the Hawk). If you try to read Victory of the Hawk or Vengeance of the Hunter without first reading Valor of the Healer, you will be confused! Fortunately, each book is very conveniently priced at $2.99 wherever ebooks are sold–so you can read the entire trilogy for less than many mass market paperback releases these days, and certainly less than a trade paperback. And since the whole trilogy is indeed now released, you can plow through the entire story at whatever speed you like. So if you choose to do so, thank you in advance, and I hope you enjoy the read! The Dove, the Rook, and the Hawk take flight with Carina Press!